Little chair for Julianna made by her daddy. 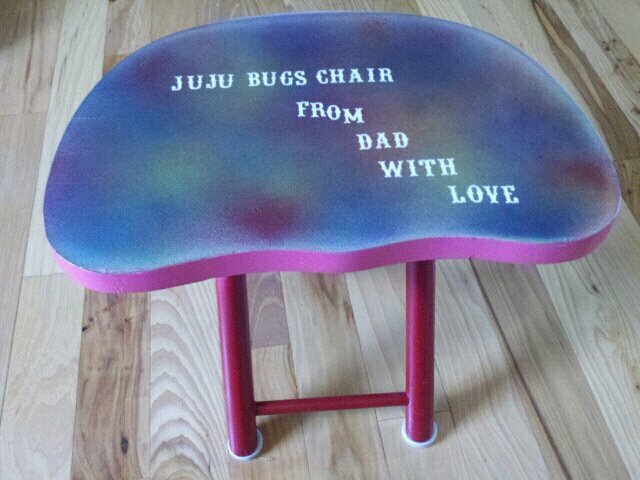 He spent a lot of time on this cute little chair for Julianna. It was an old chair that my mom had for a long time and was getting rid of. He did a great job! One of our latest projects. 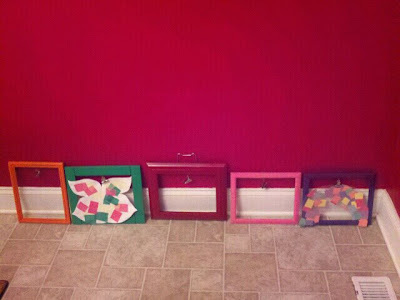 We've been collecting picture frames on our thrifting adventures to display Julianna's artwork. They have hooks at the top so the artwork is interchangeable. These frames are going to go on the way beside of our staircase. Our collection of frames is far from done. 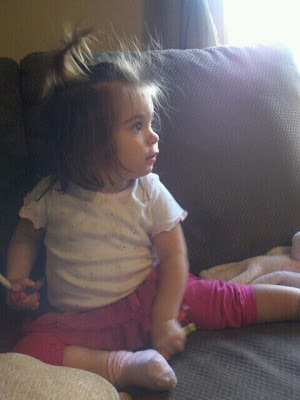 Julianna with one of her first ponytails. I could just eat her face. So stinkin' cute! Just relaxing with mom on a Friday night! 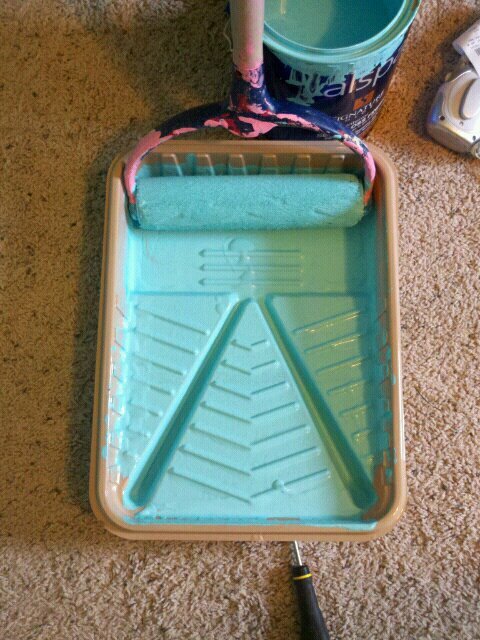 One of my favorite things right now! 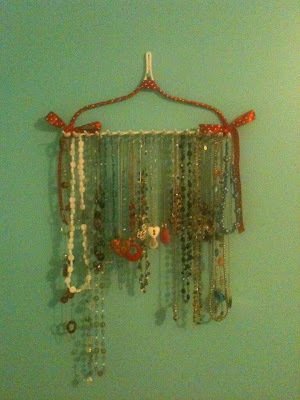 Inspired by Pinterest, Josh made this necklace holder out of an old rake he found on the side of the road. The only cost was the $1.88 ribbon and $3.00 can of spray paint. Beautiful blue! 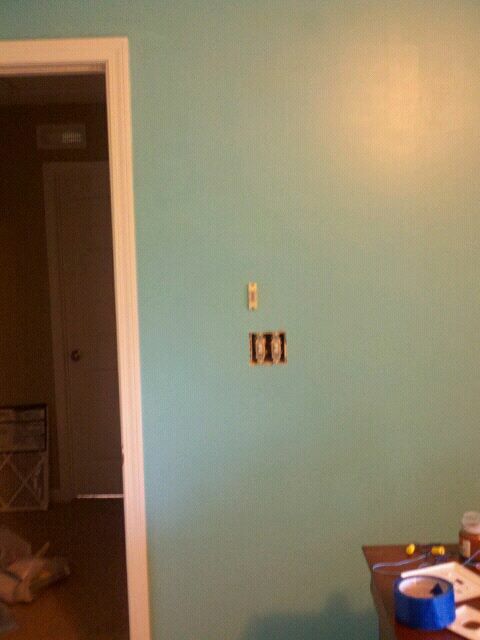 The new color of our bedroom walls. It's so peaceful and calming. I love it! 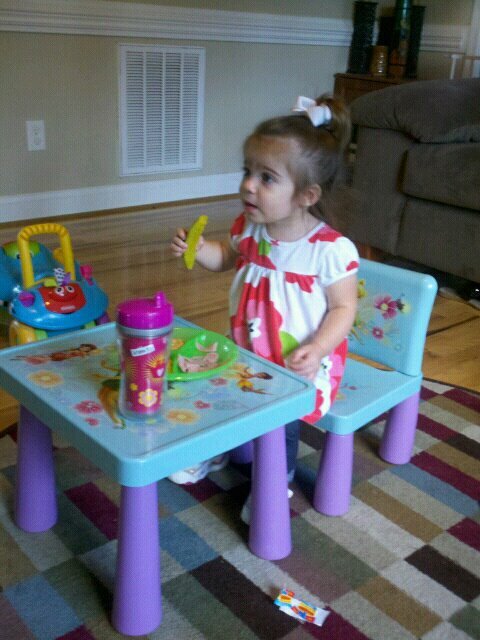 Julianna and her daddy love pickles! 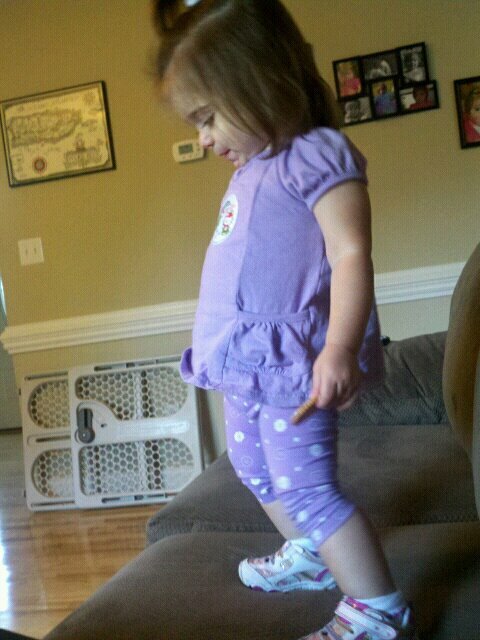 Checking out the sticker that she got at the doctor. 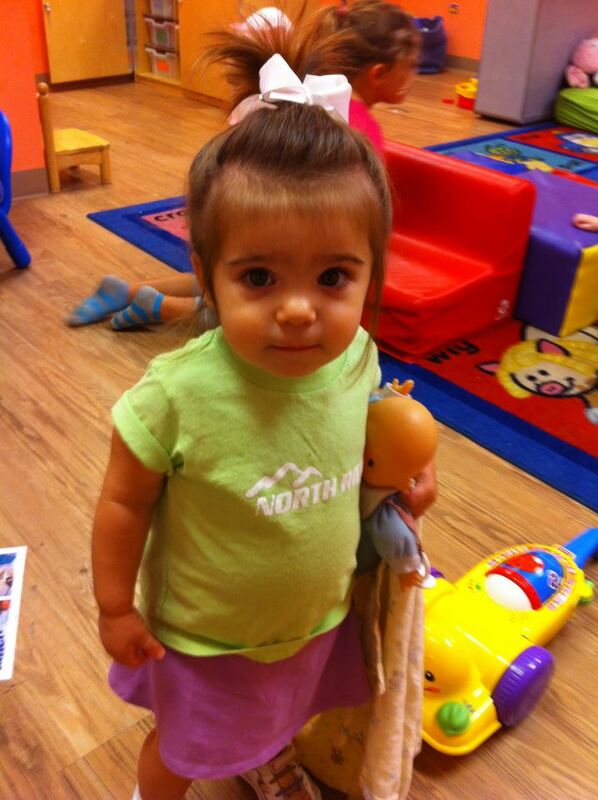 At her 18 month checkup, she's 22 lbs. and 32 inches tall. Her weight makes her a peanut but her height is average for her age. She also got a her flu shot. 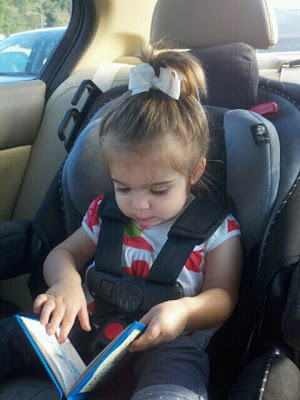 Reading a book and turning the page the right direction. 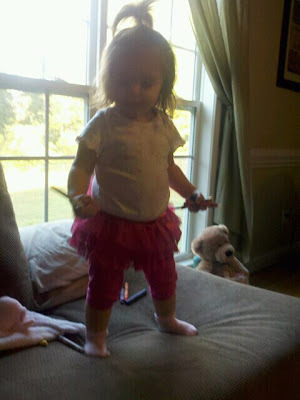 Go Julianna! 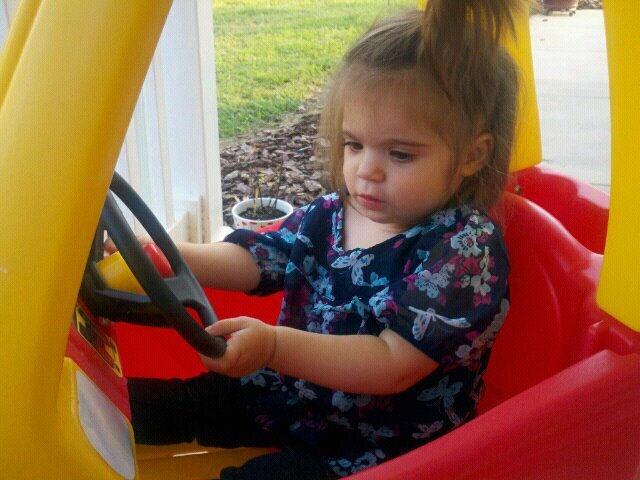 Just driving my car. Beep beep!